What a way to end such an awesome year of cupcake orders with this cupcake request for cream and chocolate brown cupcakes for a wedding party. Thanks Liza for recommending me to Karen and Rob to do their cupcakes for them today and I hope the cupcakes do justice to all your planning for a beautiful wedding party. I have baked countless vanilla and chocolate cupcakes this year with these flavours being the most popular and it was brilliant to be able to combine vanilla and chocolate cupcakes with cream and chocolate icing and decorations. I iced the chocolate cupcakes with a rich chocolate cream cheese icing laced with Midnight Velvet melted chocolate for an extra kick of cocoa. To complement the rich chocolate icing I made cream sugarpaste roses, butterflies, flowers and daisies to complete the cream and chocolate combination. 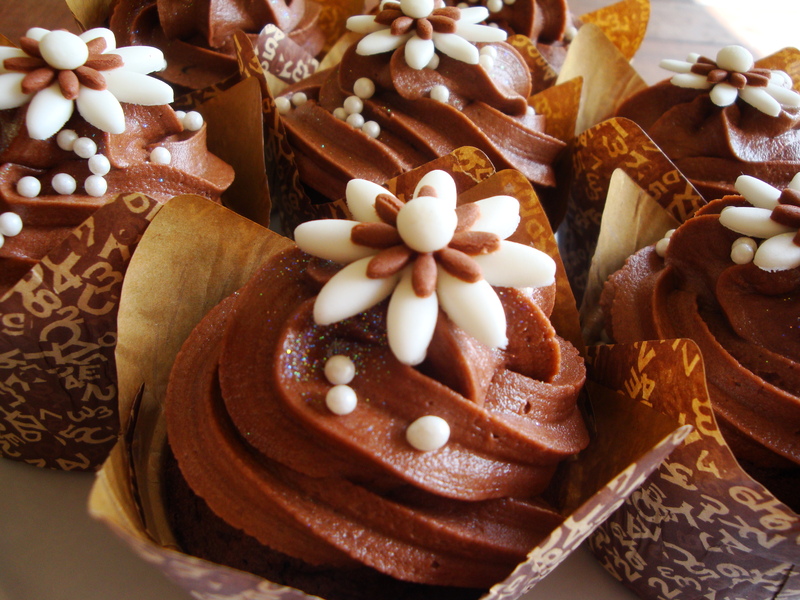 I love the way the small pearls nestle on these chocolate cupcakes. 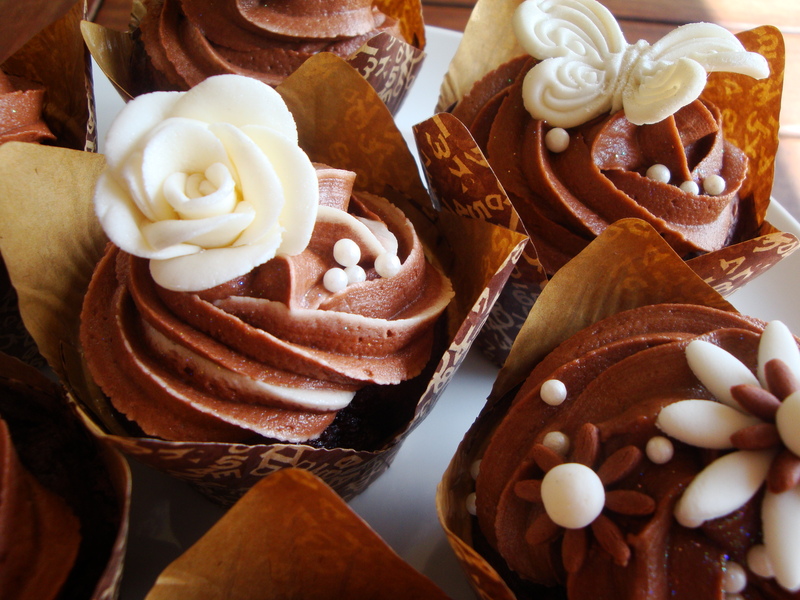 The vanilla cupcakes I iced with a vanilla cream cheese icing and for contrast I made brown roses, butterflies, flowers and daisies. I was delighted with the finished cupcakes and I hope that Karen and Rob have a brilliant celebration today with their friends and family and have fun eating these cupcakes. ← ‘Tis the Season to be Different!